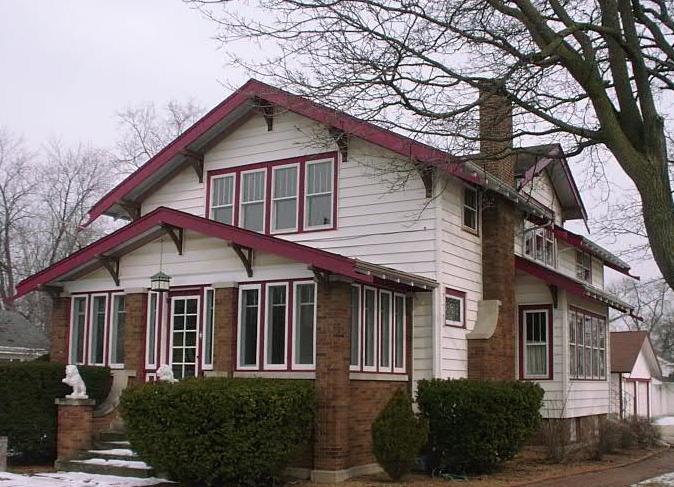 When we first saw This Old McHenry House in December of 2004, she was covered in a dingy white vinyl siding. All of her still-visible trim work was sloppily painted a horrible dark pink. She wasn’t pretty. But I thought she had potential. My suspicion was confirmed when we received a folder of paperwork at the closing in March 2005. 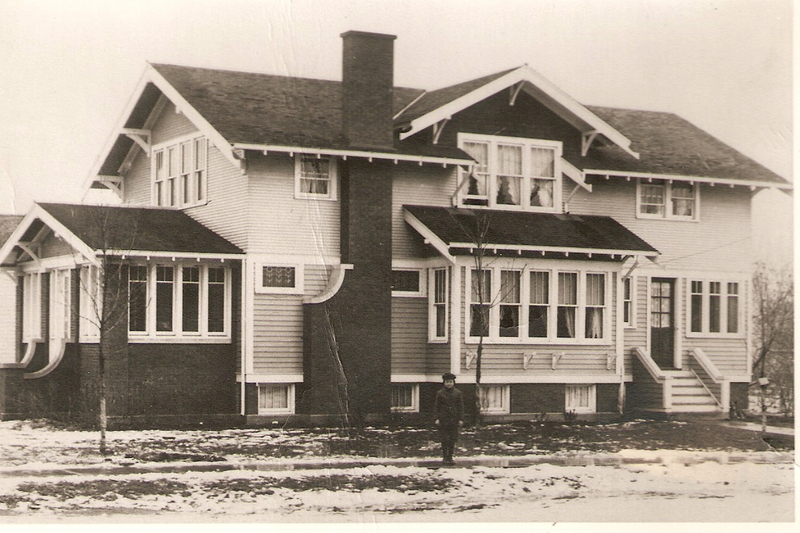 In the folder was a picture of the house just after she was built in 1921. I began to plot and plan. 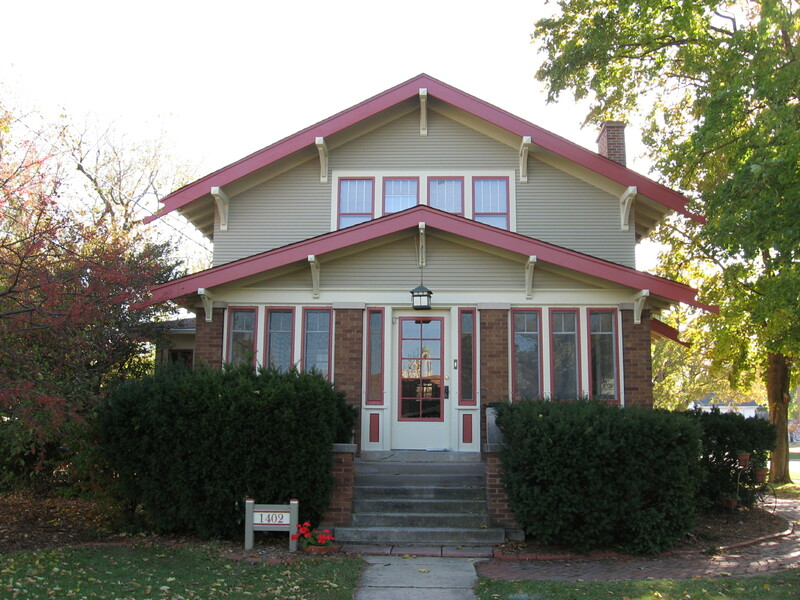 Providentially, a Victorian-home-turned-attorney’s-office just around the corner from us had recently undergone a complete exterior transformation. So one day I suggested that we knock on their door and ask them who did their paint job. Maybe get a recommendation. Peter said that this whole project was my crazy idea and I would have to do the talking, but he agreed to walk with me over to the house. As we approached, however, my heart sank. I couldn’t believe I hadn’t noticed it before. The poor thing stood there, only a year in her new grey and purple paint, already cracking and peeling and pitiful. I was momentarily deflated, but I am not so easily deterred. I redoubled my research—determined to find a better way. And poor Peter? He was simply swept along in my scheme. 1. Thoroughly scrape off all loose paint. 2. Sand every surface smooth with an orbital sander, feathering the edges. 3. Scrub the surface in a circular motion with a brush and a tablespoon of TSP dissolved in a gallon of water. Rinse with running water and allow to dry. 4. Fill nail holes ONLY with Flex-Tech Apoxy. 5. Prime ONLY with Muralo’s Ultimate X-200 Exterior Oil-Based Primer-2200 and allow to dry. 6. Paint with Benjamin Moore Premium paint, using ONLY a brush. Finally then, in June of 2007, armed with this information, I was ready to make a move. First, I hired a contractor to pull the vinyl down. 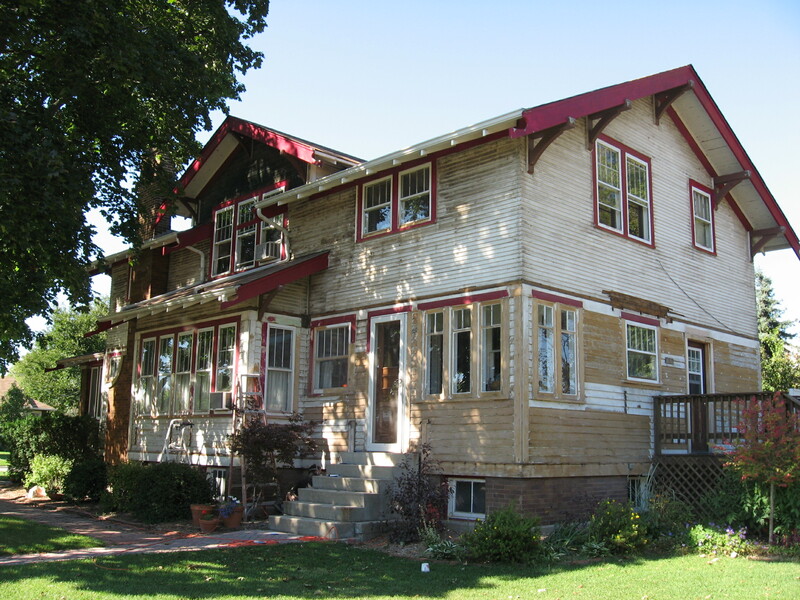 One Saturday morning, we awoke to the sound of the old siding being torn from the house. We live on a busy corner of town, so all day long people stopped and stared as This Old McHenry House was stripped bare. By the end of the day, she stood completely exposed. Dirty. Bruised. And broken. Peter and I circled her, assessing the situation. Thankfully, much of the siding and trim was still in place, though one sizable section at the back of the house was rotted through. Pieces of trim had been carelessly yanked off to accommodate the vinyl. Additional woodwork near the roofline was falling apart. So for many long and exhausting weeks, we spent every available moment scraping and sanding and washing and filling and priming and painting. We started with the garage, then moved to the first story of the house. In early September—with winter looming—we interviewed a few paint contractors, looking for someone to help us get her done. One contractor promised to be the cheapest if we paid him in cash. Another promised to be the quickest because he had a young, energetic crew. But I didn’t want cheap or fast. I wanted a thorough and quality restoration. So I hired the only contractor who agreed to follow each and every one of the Sacred Six Steps. Following the steps is important, right? And not just in home restoration. But in many areas of life. Cooking a meal. Writing a book. Constructing a toy. And, of course, helping a human grow up. But healthy development through each step or stage doesn’t just happen. Dr. Cloud says three essential ingredients are necessary. The first is Grace. An unearned and fully accepting relationship. The second is Truth. An accurate understanding of the way things really are. Combined, Grace and Truth form an authentic relationship which nurtures development. But this development must also be given the third essential ingredient. Good Time. When Peter was about twelve years old, his dad brought home for him a second-hand bike. It needed some work, but Dad Worrall was handy like that. And in no time he had it up and running. Peter was thrilled. One day, though, Peter brought the bike home with a flat. He very much wanted to learn from his dad, to be able to fix his own bike. So he convinced Dad Worrall to show him how to change the inner tube himself. Then—surprisingly—Dad Worrall let Peter give it a try. Peter struggled to follow the instructions though. And before too long, Dad Worrall stepped back in. “Just let me do it, Mr. Engineer,” he said. Dad Worrall used that nickname often from that point on. Even spread it around the family a bit—to cousins and uncles and aunts—the people Peter respected most. And it has stuck with Peter all of these years. That lack of Grace. But mechanical projects weren’t the only thing that Dad Worrall took out of Peter’s hands. He was a “control freak” by his own admission. Filling out Peter’s forms. Holding onto Peter’s paperwork. Making Peter’s plans. And a part of Peter—the part that might have gained confidence about household repairs and paperwork and plans—that part of him went underground. Just a few months ago it peaked out from under a rock. Peter decided he should finally start the process of becoming an American citizen. He’s been putting it off for years. It involves paperwork. So one afternoon he went online and found an application. He gave the website his credit card information when they asked for $200, then he spent a long and agonizing time filling out the forms. When he came to the end of the process, though, he realized that something was wrong. What he thought had been a legitimate government website wasn’t. I was running errands while all of this was happening. So I arrived at home just in time to find him wide eyed, scared, self-loathing, and twelve. The adult Peter did make some phone calls and get his money back. But twelve-year-old Peter is so powerful that he hasn’t revisited the process again. I have a twelve-year-old self too. I’m guessing most of us do. But while Peter’s twelve-year-old likes to retreat and avoid, mine likes to control. It makes sense. While responsibility was taken away from Peter as a child, it was thrust upon me. While twelve-year-old Peter is terrified of what might happen if he does step up, the twelve-year-old me is terrified of what might happen if I don’t. You might call us a perfect match. The LOML and me. Or perhaps a perfect storm. Certainly our twelve-year-old selves surfaced a lot that summer. They don’t always get along. But with a bit of Truth and a whole lot of Grace, we are slowly bringing these things back into Good Time. In fact, a couple of weeks ago Mr. Engineer fixed our toilet. For the second time. And I didn’t say a word. He watched a video online. Made a trip to the hardware store. And successfully replaced a broken part. And lo and behold, we both grew up. What parts of you went underground? How have they been brought back into Good Time with Grace and Truth? Wow – you guys sound a lot like Rich and me. I love to read your transparency and honesty – it reminds me that we are all growing into our true, holy selves. And I know I constantly need to be reminded about the “all in good time” part. Maybe I should plaster that on my bathroom mirror! LOL – but really. Thanks for your insight, Kelli. How long has your paint lasted? Your marriage? I loved it! Very open and honest and interesting!! I have pushed underground my mechanical abilities, not sure why. Maybe because my Dad died when I was 11 and never showed me how to use tools so I had to teach myself. Today I actually put together a cabinet and used my hands and tools to fumble through it. I made some mistakes, fixed them and made some more mistakes and then fixed them. It is hanging on the wall now and I am so proud of myself. We are still in the process of remodeling our old house and it is challenging but very satisfying! 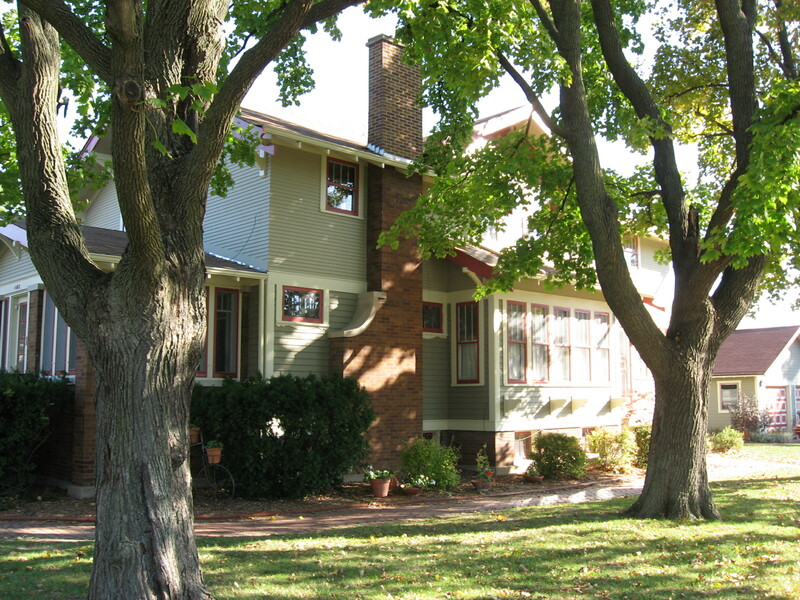 Your old house is beautiful, I hope I can see it in person someday! Keep writing, keep encouraging us to keep growing in grace and truth! Love ya! Goodness! This piece has so many neat little gems in it. So much of me went underground at some point that I wasn’t exactly sure who I was. Thankfully, in the last few years I’ve discovered so much more of the way I was originally crafted, only better. At my age I’ve learned that the things I buried deep were some of the most wonderful things gifted to me: singing, writing, and drawing (though I missed laughing the most). I would say those things were brought out in Good Time, and God did something pretty amazing—he developed these parts of me beyond what I ever imagined (so much so that I know it can’t be me in the best instances). Yeah, my young self shows up to the party pretty often even now, but I think I’m on the road to recognizing what’s happening and choosing my best mature options instead.